I'm still working on using the cucumbers from our garden. I know my husband Lulu spent a lot of time planting all the vegetables so I try my best to make flavorful dishes using the results of his hard labor. Today I used Marketmore cucumbers and served them as a first course. The dish was composed of seeded, sliced cucumbers, finely chopped pickled grape leaves and diced red bell peppers. I tied the flavors of the salad together with a dressing made with yogurt, mustard and olive oil. I understand that the process of planting, watering and caring for the vegetables requires a lot of work, so I definitely feel responsible for creating unique dishes that showcase the quality of the ingredients. Love you Lulu! Don't we make a great team? Raita is an Indian condiment made with yogurt (dahi in Urdu). It's used in Indian cuisine as an "antidote" to spicy food. But the yogurt not only cuts the heat, it tastes great too. 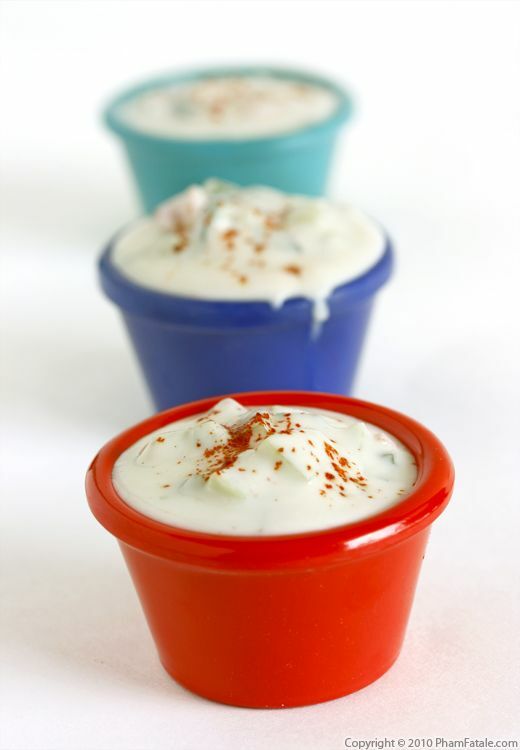 Traditionally, raita is seasoned with cilantro, ground cumin, mint and red chili powder. 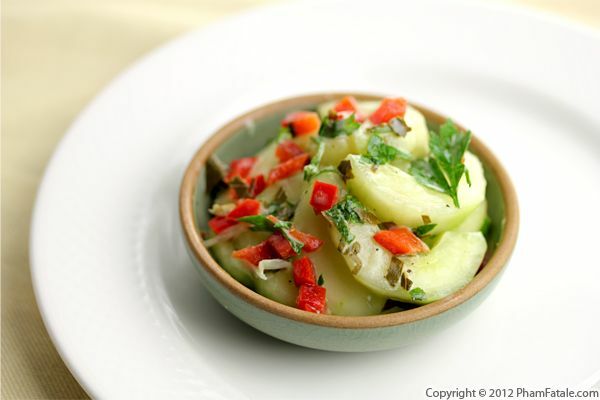 For more texture, I added finely diced raw vegetables such as Persian cucumbers and tomatoes. If you fancy a change of pace, you can try my “fusion” raita that uses a lot of French flavors and techniques. My husband Lulu loves it with khichdi! I wanted to prepare a simple salad for dinner this evening, so I made a cucumber salad with a really easy to make tzatziki dressing. Prepping the cucumber takes only a few steps. I wash, chop, salt and pat dry the cucumber slices and they're good to go. The tzatziki sauce is made of dried mint, dill and yogurt and is seasoned with salt and pepper. 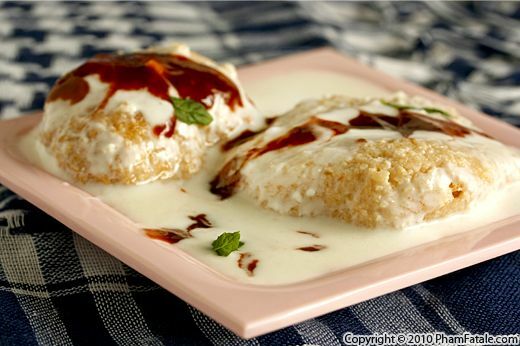 If you want to make it extra rich, you can add some sour cream or crème fraîche. Mix them together and you're ready to serve. That's it. Easy never tasted so good.